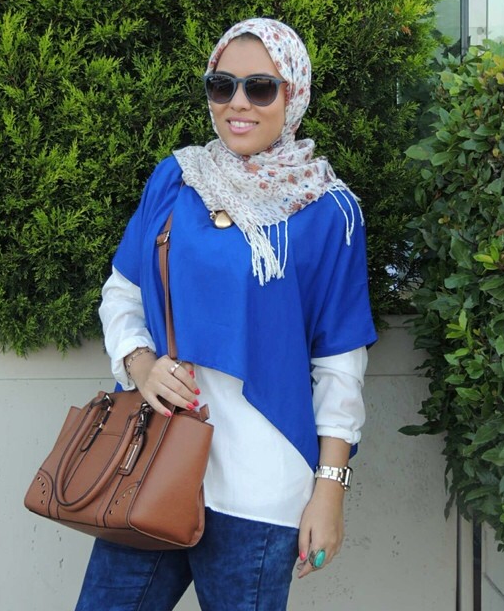 Hijab has been a problem for many people that follow fashion. That’s why many girls started to take off their hijab and other girls are thinking 100 times before they put it on. People assume that it’s difficult to follow fashion if you wear the hijab because you can’t wear hot shorts and mini-skirts. But that’s not what fashion is about. Fashion is an item of clothing. Style is what you should be more concerned about. It’s HOW you dress up that item of clothing. It reflects who you are and what you feel. Yes, I do agree that you can’t wear specific pieces in public if you are a hijabi but that doesn’t mean you can’t follow the trend the hijab way. Throw a ‘girls only party’ where only girls attend with full makeup, the highest heels, the hottest dresses, the loudest music and lots of food! That way the feeling of “not getting to show off what you got” is satisfied. And plus you get to play around with your hair and not have the hijab on. Problem solved. If there are any ideas you guys recommend go ahead and leave it in the comments below! For the Ladies that don’t shakehands with Men.